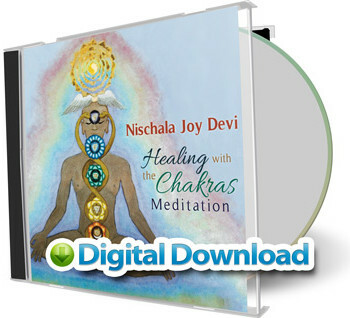 In the Healing with the Chakras Meditation, Nischala Joy Devi guides the listener to the heart and experience of understanding the chakras. Woven through this meditation, we experience imagery, color and the five senses, plus awareness of the organs and glandular systems, which the chakras govern. Healing with the Chakras Meditation allow us the experience of deep rejuvenation. Enhanced by the use of Bija (seed) Mantras and Mudras, Healing with the Chakras Meditation leads us within, to transformation from imbalance to dynamic vitality. 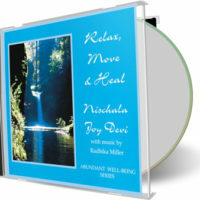 Nischala Joy Devi is a masterful and compassionate teacher. Known for many years as a highly respected international advocate, her innovative way of expressing yoga and its subtle uses for spiritual growth and complete healing continues to touch seekers around the world.